4k00:24BRYCE CANYON, UTAH - JUN 2014: Bryce Canyon red rock twin pillar towers. 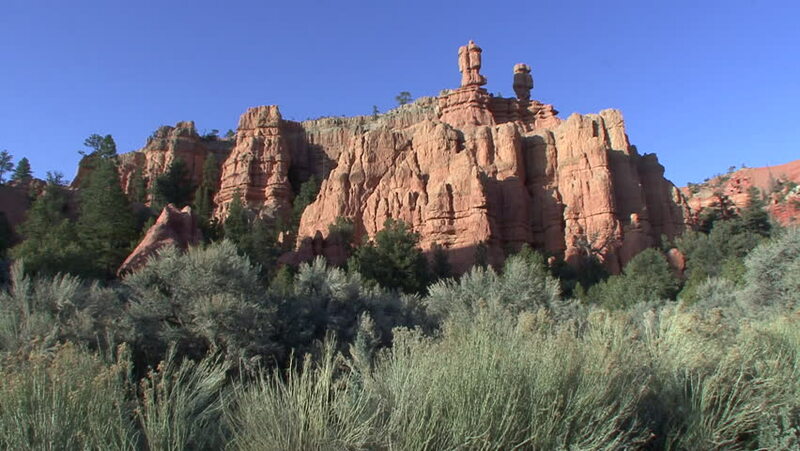 Red, orange, and white colors of the rocks provide spectacular views for park visitors. Designated a Park in 1928.